What is Baltic Amber & How Does it Work? Baltic Amber is a resin that is like sap which formed over 45 million years ago in the Baltic Sea region of Europe/Asia. It contains the highest quantity in nature (3-8%) of succinic acid, which produces its anti-inflammatory properties. When Amber is worn your body heat warms the resin then it releases its oil into your bloodstream to activate this healing powers. Necklace lengths start at 16" & goes up to 24" depending on the style you are trying to achieve. Baltic amber contains analgesic properties and helps take the edge off of many types of discomfort like: sport injuries, headaches/migraines, arthritis, carpal tunnel syndrome, back/shoulder/neck pain, growing pains, tendinitis & knee or join discomfort...just to name a few. When the body's cells are chronically inflamed, the immune system response is to increase production of free radicals. Chronic overproduction of free radicals results in inflammatory-related disease. Chronic inflammation is a common denominator of many seemingly unrelated diseases. Anklets are great for ankle and knee injuries as well as surgeries such as ACL/MCL recovery. Wood from a hazelwood tree/shrub, which is native to Quebec, Canada. The wood absorbs the body's excess acid when worn close to the body. Its therapeutic properties are good for neutralizing the body's acidity, which, when balanced, will help rid the body of symptoms such as: Eczema, Psoriasis, Gastrointestinal problems, Constipation, Oral Health, Acne, Dermatitis & Headaches. 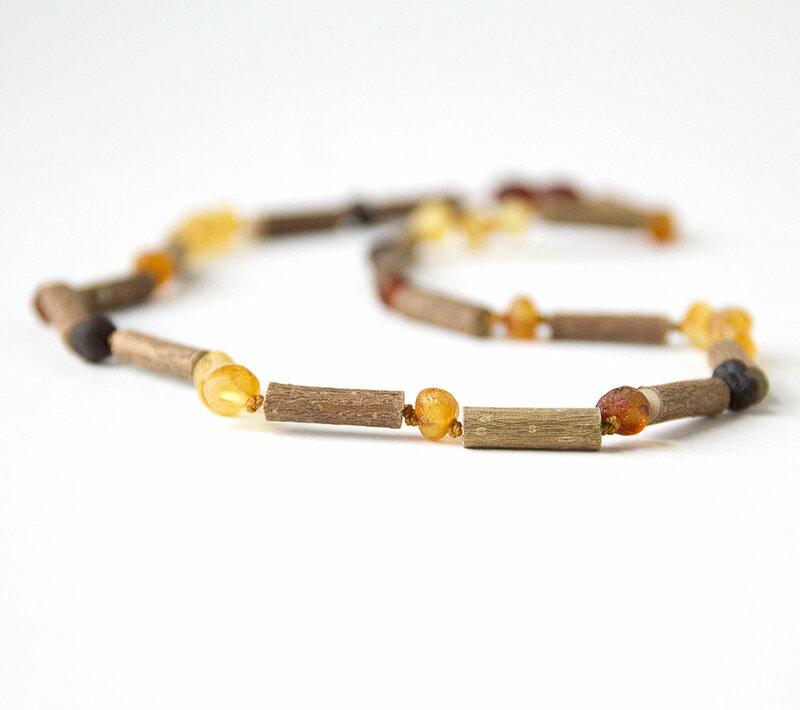 Pairing hazelwood together with amber is a complementary way to neutralize and heal the body. *Comes in Bracelet, Anklet & Necklace lengthens! Lava stones include naturally formed voids and irregular surfaces, which are great at absorbing essential oils! Great for keys or work & gym ID badge! Besides using as a Diffuser, Its also perfect to use as an air freshener while driving. Helps keep your travel bag or luggage smelling great inside, especially gym/sports bags. 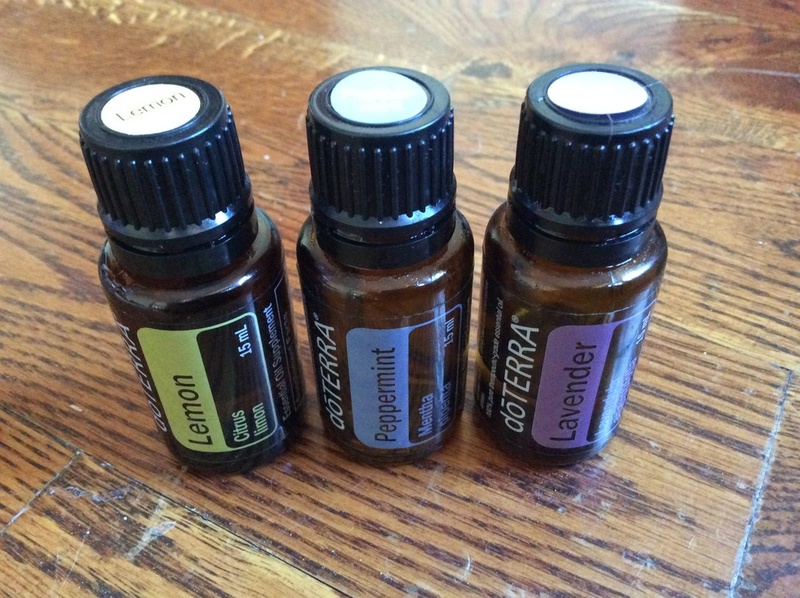 Just add 2-3 drops of your favorite oil on the lava beads! Many of our items can be also found on Amazon even with PRIME 2-day shipping, check out our Handmade @ Amazon Shop!